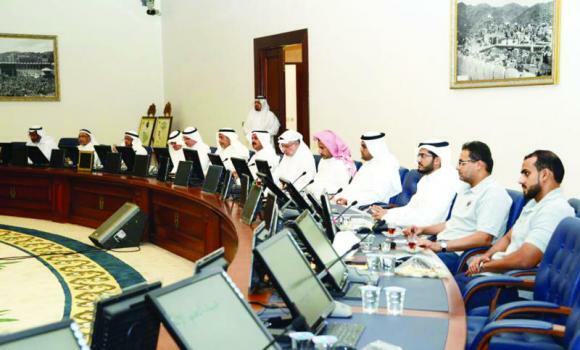 A technical committee tasked with ensuring safety inside the Grand Mosque held a meeting with the Ministry of Higher Education to discuss health and safety measures during the expansion project. 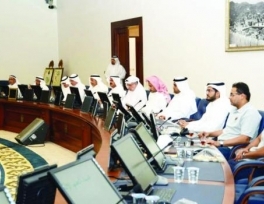 The meeting, which was also attended by officials from the Finance and Interior ministries, General Presidency of the Grand Mosque and the Prophet’s Mosque Affairs, the Binladin Group and the Supreme Haj Committee, in addition to public security and Civil Defense officials and the project consultant, was held at Umm Al-Qura University on Wednesday. Faisal bin Fouad, chairman of the technical committee, said that this meeting was held to implement safety measures for workers according to international standards. He further said that the expansion project will increase space for pilgrims considerably and make Umrah and Haj seasons safe and more efficient. The Finance Ministry also gave a presentation on what had been done to enhance safety measures. The Binladin Group also explained the preventative plans they take to enhance safety procedures through implementing development procedural methods and the use of the world-class and specialized experts in the field.